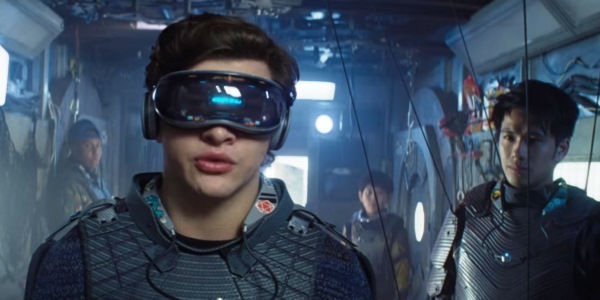 Warner Bros.' "Ready Player One" was the big winner this weekend and debuted at number one with an impressive domestic gross of $53 million and a worldwide total of $181 million. It's the director Steven Spielberg's largest opening weekend in ten years. Walt Disney's "Black Panther" dropped to the number three spot in its seventh week. It lost about 34% from last week to make $11.3 million. That's a domestic box office gross of $651 million and a worldwide total of $1.27 billion. Ryan Coogler's superhero movie is on track to take the number three spot as the third largest domestic release of all time behind Jurassic World ($652.2m) and Titanic ($659.3m). The movie starring Chadwick Boseman is also currently the eleventh worldwide all-time box office. Universal's "Pacific Rim: Uprising" dropped to the number five spot after last week's debut and lost/gained about 67% over last weeks cume to make $9.2 million. It's got a domestic box office gross of $46 million and a worldwide total of $232 million. Warner Bros.' "Tomb Raider" dropped three slots position to the number eight spot. Tomb Raider lost about 53% of its domestic box office total from last week to make $4.7 million for a domestic box office gross of $51 million and a worldwide total of $245 million. Walt Disney's "A Wrinkle in Time" got pushed down to the number nine spot. But it's still in the top ten after four weeks. It lost close to 43% to make $4.7 million last weekend. It's got a domestic box office gross of $83 million and a worldwide total of $104 million. 20th Century Fox's "Red Sparrow" is out of the top ten but still in the top 25 at the number 19 spot. It lost 70% in it's to make $0.7 million for a domestic box office gross of $46 million. and a worldwide total of 130 million. Paramount Pictures's "Annihilation" has had a dismal return in it's box office run despite strong reviews. It dropped to the number 23 spot in its sixth week. It lost 64% to make less than a million domestically and $32 million internationally since the studio decided not to release it to theaters in other countries. No word on what the numbers in Netflix look like in other markets. Since the movie was made for a modest $40 - $55 million it's not a huge flop, but a disappointing return for an original property and may lead the way for more sequels and reboots. Official synopsis: "The film is set in 2045, with the world on the brink of chaos and collapse. But the people have found salvation in the OASIS, an expansive virtual reality universe created by the brilliant and eccentric James Halliday (Mark Rylance). When Halliday dies, he leaves his immense fortune to the first person to find a digital Easter egg he has hidden somewhere in the OASIS, sparking a contest that grips the entire world. When an unlikely young hero named Wade Watts (Tye Sheridan) decides to join the contest, he is hurled into a breakneck, reality-bending treasure hunt through a fantastical universe of mystery, discovery and danger." Check back with the Geek Twins for more Ready Player One (2018) movie news! What do you think of this weekend's box office? Any surprises?